In brief: Contact the ICREPs member in the country you are in (ICREPs does not deal directly with exercise professionals). If you completed your qualification/registration within an ICREPs member country (e.g. UK, Ireland, Australia, New Zealand, South Africa etc) then contact the registration body in that country first (click on the logos at the bottom of this page). 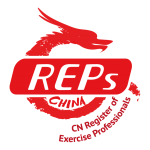 If you completed a qualification from a country that does NOT have an ICREPs member, and wish to travel to a country that DOES have an ICREPs member, then contact the ICREPs member in the country you are going to (do this before you get there, so you know what to expect). If you completed a qualification from a country that does not have an ICREPs member, and wish to travel to a country that does not have an ICREPs member, then ICREPs and its members are unable to assist. We suggest you contact potential employers in that country and ask what standards they expect you to meet. If you have been told that you require a letter of portability, this is provided by the register (ICREPs member) that you obtained your qualification. e.g if you completed your training in the UK, then please contact REPs UK to obtain your letter. ICREPs does NOT provide such letters. If you have been told that we do, this is incorrect, please follow the steps outlined here. Emailing ICREPs will generate an auto-responce that will provide a link to this page. We do not individually reply to questions from exercise professionals. This is VERY important, as we do not have access to ANY of the national registers databases, so unable to provide any details of registration etc. For questions, see the bullet points above that provide information on how to contact. Important: Please do NOT contact ICREPs directly about such questions. 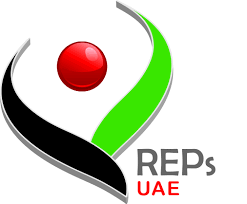 ICREPs does NOT register individuals, nor does it offer any services directly to exercise professionals – these are ALL done through ICREPs members (logos at the bottom of the page). Those that contact ICREPs will be referred back to the ICREPs member in the country you qualified/intend to move to.